Regardless of the application, each industrial air filtration system is designed to leave your space with safe, clean air. 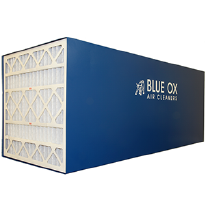 By drawing contaminated air through a series of high-efficiency filters, our systems are able to clean some of the most contaminated air. 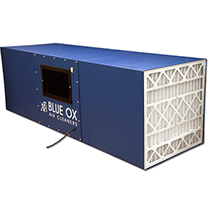 OX1100 — This commercial air filtration system performs well for businesses who are looking to remove odors and light dusts from a most light-duty commercial applications. The circular fan equipped on this system effectively removes contaminants from the space, so both diners and your neighbors are happy. 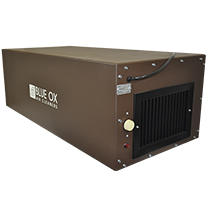 OX2500D-CC — For businesses that are particularly interested in removing odor from your space, this industrial air extractor is the perfect choice. Whether you’re a cigar bar who needs to remove heavy cigar smoke or a factory with heavy process dust or welding fumes in the air, then this model will do the job! We’ve worked with businesses to implement this in their smoking lounges to successfully comply with local ordinances and make their customers happy. OX3500 — For many manufacturers, one of the main byproducts of their facilities include oil mist. Since oil mist can be harmful and quickly become contaminated with other particulates, it’s important to have an industrial air filtration. We’ve worked with manufacturers in aerospace and other industries to remove oil mist by using one of our systems. Regardless of industry, our goal is to provide the highest quality industrial air cleaners to create safe and code compliant workplaces. We’re happy to walk you through our different commercial air filtration systems to find the best solution for your space. Contact us for a quote today!